Congratulations to Tony Award-winning playwright and screenwriter David Henry Hwang and singer-songwriter, producer, and actor Leehom Wang’98, who were among the eight outstanding individuals who received honorary degrees at Williams College’s 227th Commencement Exercise on Sunday, June 5, 2016. Other recipients included Bryan Stevenson, founder of the Equal Justice Initiative, who was the principal speaker; Pulitzer Prize-winning author and science journalist Elizabeth Kolbert who delivered the baccalaureate speech; Sarah Bolton, current dean of the college at Williams and president-elect of The College of Wooster; author and illustrator Eric Carle; writer and commentator Frank Deford; and Peace Corps director Carrie Hessler-Radelet. 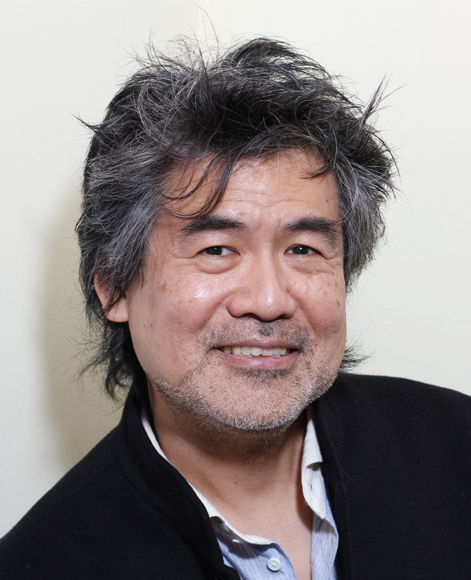 Described by The New York Times as “a true original,” David Henry Hwang (Doctor of Letters) is an American dramatist whose work includes the plays M. Butterfly, Chinglish, Yellow Face, Kung Fu, and Golden Child, as well as the Broadway musicals Aida (co-author), Flower Drum Song (2002 revival), and Disney’s Tarzan. America’s most-produced living opera librettist, he has written four works with composer Philip Glass, including 1000 Airplanes on the Roof. In September, the San Francisco Opera will present the World Premiere of Hwang and Bright Sheng’s Dream of The Red Chamber, helmed by Stan Lai. Hwang has won a Tony Award and three OBIE awards, and he has twice been a finalist for the Pulitzer Prize in Drama. His screenplays include Possession (co-writer), Golden Gate, and M. Butterfly. He is a writer/producer for the TV series The Affair, and he is currently developing an original series, Shanghai. Hwang won the 2011 PEN/Laura Pels Award, the 2012 Inge Award, the 2012 Steinberg “Mimi” Award, a 2014 Doris Duke Artist Award, and the 2015 IPSA Distinguished Artist Award. He attended Stanford University and Yale Drama School and was recently the Residency One Playwright at New York’s Signature Theatre. 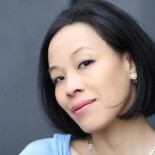 Hwang holds honorary degrees from Columbia College, Chicago, Dr. of Letters, 1998; American Conservatory Theatre, MFA Acting, 2000; LeHigh University, Dr. of Letters, 2011; USC, Dr. of Literature, 2013; and SUNY Purchase College, Dr. of Fine Arts, 2015. He directs Columbia University’s School of the Arts M.F.A. program in playwriting. Leehom Wang ’98 (Doctor of Music) is a Chinese-American singer-songwriter, music producer, actor, and film director, known as the “king of Chinese pop.” His work blends pop, rock, jazz, hip-hop, R&B, classical, and traditional Chinese music ranging from aboriginal folk music to Beijing opera. He is the best-selling Mandarin-language musician of his generation and has released 15 solo studio albums. He has won four of Taiwan’s Golden Melody Awards and 15 Chinese Music Awards. In addition to his musical career, he has acted in several movies, including Ang Lee’s thriller Lust,Caution (2007); Little Big Soldier (2010), an action comedy co-starring Jackie Chan; and Love in Disguise (2010), a romantic comedy that Wang also wrote, directed, and scored. His most recent film is Michael Mann’s cyber thriller Blackhat (2015), in which he stars alongside Chris Hemsworth, Tang Wei, and Viola Davis. Wang was born and raised in Rochester, N.Y., and he double-majored in music and Asian studies at Williams. By the time he graduated, he had already released four albums. His fifth, Revolution, released in August 1998, became his breakthrough album, winning him Golden Melody Awards for best producer and best male singer. 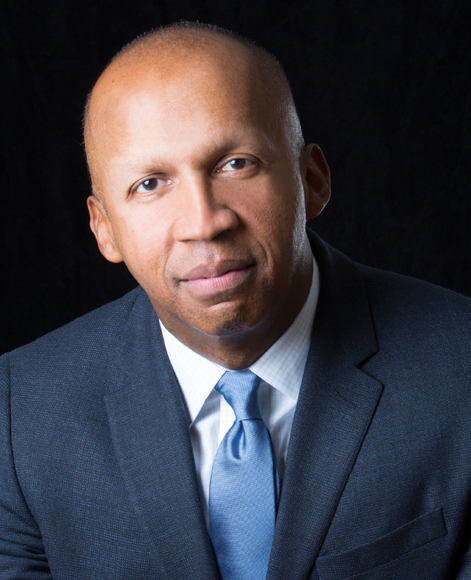 Bryan Stevenson (Doctor of Laws) is the founder and executive director of the Equal Justice Initiative in Montgomery, Ala., a nonprofit that provides legal representation to indigent defendants and prisoners denied fair and just treatment in the legal system. He has successfully argued several cases before the U.S. Supreme Court, including a recent ruling that mandatory life-without-parole sentences for children 17 and younger are unconstitutional. He and his staff have won reversals, relief, or release for more than 115 wrongly condemned death-row prisoners. Among Stevenson’s numerous awards and honors are an American Bar Association Wisdom Award for Public Service, MacArthur Fellowship, Olof Palme Prize, American Civil Liberties Union National Medal of Liberty, National Public Interest Lawyer of the Year Award, Gruber Prize for Global Justice, and Ford Foundation Visionaries Award. He graduated from Harvard Law School and Harvard’s John F. Kennedy School of Government, has been awarded 21 honorary degrees, and is a member of the American Academy of Arts and Sciences and a professor of law at New York University. He is the author of The New York Timesbestseller Just Mercy. Elizabeth Kolbert (Doctor of Letters) has been a staff writer for The New Yorker since 1999. Her most recent book, The Sixth Extinction, received the Pulitzer Prize for general nonfiction in 2015. She also was the author of Field Notes from a Catastrophe: Man, Nature, and Climate Change, and The Prophet of Love: And Other Tales of Power and Deceit. She is the editor ofThe Best American Science and Nature Writing 2009. Her three-part series on global warming, “The Climate of Man,” from whichField Notes was adapted, won the 2006 National Magazine Award for Public Interest as well as the American Association for the Advancement of Science’s magazine writing award and a National Academies Communication Award. In 2010 Kolbert won the National Magazine Award for reviews and criticism, and she has received a Heinz Award, Guggenheim Fellowship, and Lannan Literary Fellowship. Prior to joining the staff at The New Yorker, she worked at The New York Times, first heading up its Albany bureau and later writing the Metro Matters column. Kolbert is currently a visiting fellow at the Center for Environmental Studies at Williams College. 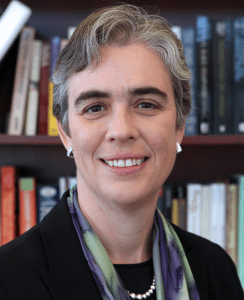 Sarah Bolton (Doctor of Science) has been dean of the college since 2010, and in November she was named the 12th president of The College of Wooster, a role she will assume on July 1. As dean, with broad responsibility for all aspects of students’ personal and academic growth, she has focused on students’ experiences both in and out of the classroom, built programs for first-generation college students, and worked to improve student safety and address issues of equity and inclusion. Bolton joined the physics faculty at Williams in 1995 after completing her B.S. at Brown University and her M.A. and Ph.D. in physics at the University of California at Berkeley. Her research explores the properties of novel, nanostructured materials that have features made up of only a few atomic layers. Her work has been published in journals including Physical Review,Journal of the Optical Society of America, and the Journal of Quantum Electronics. At Williams, she has served as chair of the physics department and chair of the Faculty Steering Committee. Williams honored her in 2009 with the Outstanding Mentor Award for Fostering Inclusive Academic Excellence. Eric Carle (Doctor of Fine Arts) is an internationally bestselling and award-winning author and illustrator of books for very young children. His best-known work, The Very Hungry Caterpillar, has been translated into 62 languages and sold more than 41 million copies since its publication in 1969. Carle has illustrated more than 70 books, most of which he also wrote, and more than 132 million copies of his books have sold around the world. Born in Syracuse, N.Y., but raised and educated in Germany, Carle returned to the U.S. in 1952 and took a job as a graphic designer in the promotion department of The New York Times. His career as a book illustrator and author began with 1967’s Brown Bear, Brown Bear, What Do You See? Carle has received numerous honorary degrees and awards, including the Original Art Lifetime Achievement Award from the Society of Illustrators, an NEA Foundation Award for Outstanding Service to Public Education, and the Laura Ingalls Wilder Award from the American Library Association. 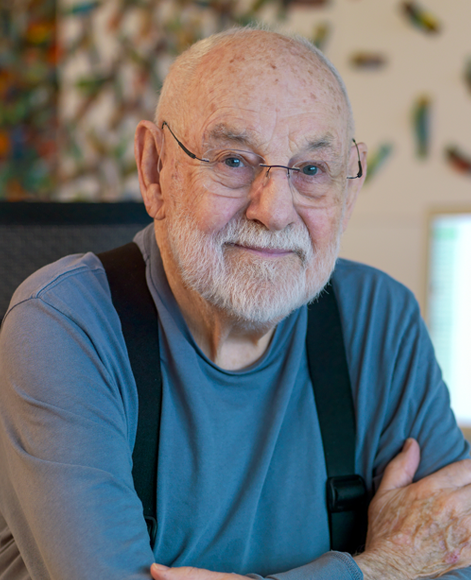 In 2002, with his wife Barbara (who passed away in 2015), Carle co-founded the Eric Carle Museum of Picture Book Art in Amherst, Mass. 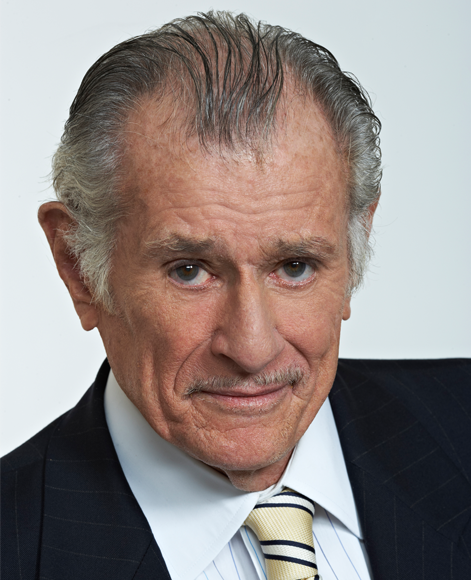 Frank Deford (Doctor of Letters) is the author of 18 books, a monthly commentator on NPR’s Morning Edition, senior correspondent on the HBO show Real Sports With Bryant Gumbel, and senior contributing writer at Sports Illustrated, where he began his career in 1962 after graduating from Princeton. He has been elected to the Hall of Fame of the National Association of Sportscasters and Sportswriters and voted U.S. Sportswriter of the Year six times. Called “the world’s greatest sportswriter” by the magazine GQ, Deford has received numerous awards for his print and broadcast journalism, including the National Magazine Award for profiles, an Emmy, and a George Foster Peabody Award. In 2013, President Obama honored Deford with a National Humanities Medal for “transforming how we think about sports.” Two of Deford’s books—the novel Everybody’s All-American and Alex: The Life Of A Child, his memoir about his daughter who died of cystic fibrosis—have been made into movies.Sports Illustrated named Everybody’s All-American one of its Top 25 Sports Books of All Time. Deford is chairman emeritus of the Cystic Fibrosis Foundation, having served as its national chairman for 16 years. 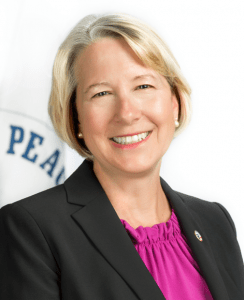 Carrie Hessler-Radelet (Doctor of Laws), the 19th director of the Peace Corps, began her career as a Peace Corps volunteer in Western Samoa, where she taught secondary school. A member of a four-generation Peace Corps family, she went on to work in public health for more than two decades, where her focus was on HIV/AIDS and maternal and child health. She also was involved in establishing the President’s Emergency Plan for AIDS Relief. At the Peace Corps, Hessler-Radelet has led efforts to revitalize volunteer recruitment and improve volunteer support and risk reduction. She has forged new partnerships, including the Global Health Service Partnership, which sends physicians and nurses to teach in developing countries and has increased the agency’s focus on girls’ education through the Peace Corps’ Let Girls Learn program in coordination with the government-wide Let Girls Learn initiative launched by the President and First Lady. Previously, she served as vice president and director of the Washington, D.C., office of John Snow Inc., overseeing health programs in more than 85 countries. 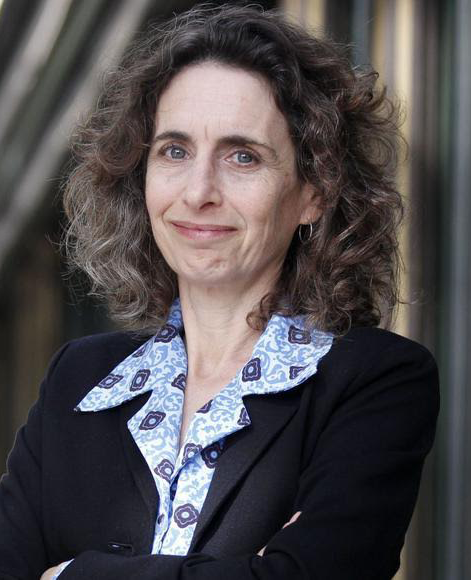 She holds a master’s degree in health policy and management from the Harvard School of Public Health and a bachelor’s degree in political science from Boston University. This entry was posted on June 5, 2016 by Lia Chang in Asian American Artists, Asian American Issues, Awards, Chinese American History, Entertainment, Film, Music, Theater, Uncategorized and tagged Backstage Pass with Lia Chang, Bryan Stevenson, Carrie Hessler-Radelet, David Henry Hwang, Elizabeth Kolbert, Equal Justice Initiative, Eric Carle, Frank Deford, Leehom Wang, Lia Chang, M. Butterfly, Peace Corps, Sarah Bolton, The College of Wooster, Tony-Award winning playwright, Williams College, Williams College’s 227th Commencement Exercise.